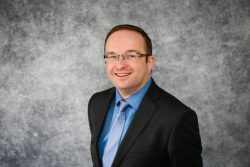 Conall Ryan is an experienced Fellow of the Chartered Institute of Legal Executives specialising in Private Client matters. In 2017 he was independently rated by Three Best Rated as one of the top 3 Estate Planning legal professionals in Exeter. Conall joined Gilbert Stephens Solicitors in January and deals with Wills, Estate Administration, Lasting Powers of Attorney, Trusts, Inheritance Tax planning and Court of Protection work. We asked Conall about his background, why it’s not essential to have a university degree to find your path into law, and how he came to be a Chartered Legal Executive at Gilbert Stephens. 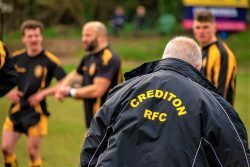 Can you tell us about where you come from and why you chose to work in Crediton? Born and raised in Cornwall, after leaving school I worked full time for a local family-run Brewery, at the same time as undertaking a Modern Apprenticeship in Accountancy, completing the AAT qualification. In 2004, despite having no legal background or qualifications, I managed to obtain a position with a Cornish law firm as a Trainee Legal Executive. My evenings and weekends were then taken up by studying for the Institute of Legal Executives (now The Chartered Institute of Legal Executives) qualification, so I could gain my Fellowship. After leaving this law firm I moved over the border to Exeter and for the next ten years worked for one of the big five banks in their Private Banking department. During my time there I obtained full membership of the Society of Trusts and Estates Practitioners (STEP). Did you always know you would work in this area of law? Having started my career in accountancy I knew that if I went into law, I would like to utilise the knowledge I already had with regard to tax and dealing with figures. It was really by chance that a trainee position came up in a law firm, in the Private Client department. At the time I did not have much knowledge of the law in this area or even that I could become a lawyer as I hadn’t been to university. 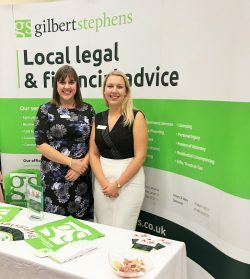 What do you like about working at Gilbert Stephens Solicitors? I like that Gilbert Stephens always focus on putting the clients at the heart of the matter. It is brilliant to have a team of support staff who are very knowledgeable and proactive, this helps to make things as smooth as possible for our clients. The Gilbert Stephens team have made me feel very welcome. They are very supportive of their staff, and I am happy to be a part of the team. What do you think are the most important qualities for a Chartered Legal Executive to have? In my area of work not only do you need the legal technical knowledge, you also have to have the soft skills of being able to deal with people in a whole range of situations. You will spend time with people who are grieving, who have just been diagnosed with an illness or who find the whole process of dealing with the legal profession daunting. It is an important part of our role to try to put people at ease when we meet with them. On the other side you need the ability to deal with various organisations to get matters concluded, such as liaising with HM Revenue and Customs. It is helpful to have the ability to remain calm – at times it can be very frustrating. My day can be a combination of meeting people who have very straightforward situations and just want to update their Will or conclude a Lasting Power of Attorney, to people with more complex situations. 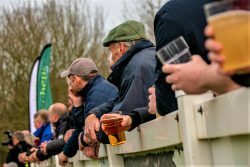 These can take the form of estranged family members, people with early onset dementia or people wanting to discuss the Inheritance Tax implications on their estate. This role can also involve registering a death, arranging a funeral or going through paperwork at a deceased person’s property to try to establish the extent of their estate. The essence of my day to day work is to try to put clients at ease and guide them through what can be a very difficult and emotional situation. No two days are ever the same. Are there aspects of your work that are particularly satisfying or challenging? I enjoy communicating with clients to put them at ease and come to some sort of solution to their issue. It is always satisfying when clients say thank you and recommend you to their family or friends. It can be challenging when clients feel that the process should not take as long as it does, for example for the administration of an estate. First of all you need to think about what area of law you would like to get into as there are a wide variety of specialisms. Also think about the route you want to take to qualify. For example, I studied on the job. Working in a firm that has a range of disciplines can really help as you can ask practicing fee earners first-hand about the things you are studying. Whichever route you take it will be quite a long one, so be prepared for lots of studying. However, in the end it will be worth it! What are your ambitions for your future? Professionally, I would like to become a partner one day, maybe also a head of department. When I started my career, Chartered Legal Executives didn’t typically become partners in law firms, but this is more achievable now. Gilbert Stephens are very pleased to have Conall working with us and wish him all the best as he continues to settle into his role. If you have any questions regarding Wills, Estate Administration, Lasting Powers of Attorney, Trusts or other Private Client matters, get in touch with Conall Ryan on 01363 775566 or email ku.oc1556146654.sneh1556146654petst1556146654rebli1556146654g@wal1556146654. Gilbert Stephens Solicitors would like to give Kim McDonald our very best wishes as she begins her maternity leave. Kim and husband James are expecting their second child and we are very pleased for the family. Kim is a Partner in our Employment Department and deals with all aspects of employment law, acting for both applicants and respondents in Employment Tribunals. Kim advises employers and employees and regularly provides her expertise in relation to grievances, disciplinary matters, the redundancy process and settlement agreements. Kim’s expertise and supportive presence in the office is of great value to the firm. Though we will miss Kim for these months, we are very happy for her and her family at this exciting time. The Law Society of England and Wales warned couples who aren’t married that they may not be able to rely on their ‘common law’ marriage to provide them with any rights, as there is legally no such thing. The University of Exeter recently commissioned a survey on British attitudes towards common law marriage, and it was found that 46% of people interviewed believed that long term co-habitation led to legal rights similar to those enjoyed by married couples. 55% of households with children believe in rights ensuing from ‘common law’ marriage, which could leave them in trouble if they are not married and are assuming that certain rights apply to them and their family. This is not the case, as ‘common law’ marriage is simply not recognised by our legal system. Potential problem areas are if the couple chooses to separate or if one partner dies, when division of finances, debt and property can become very complicated. If one partner dies without naming the other in their will, their estate will pass to their next of kin, usually a close family member, and their partner can be left without a legal claim to their partner’s estate and their shared home. Separation becomes even more complicated when children are involved and with more and more couples opting for cohabitation, it is vitally important to dispel the ‘common law’ myth. Despite not being able to rely on the rights inherent in a legal marriage, there are many options for cohabiting couples to consider in order to safeguard themselves and their families. Cohabitation agreements can make sure that your wishes are set out in advance should anything unexpected happen. Shared property ownership gives each member of the couple security and wills can be updated to make a partner a beneficiary. Terry Bastyan, Managing Partner of Gilbert Stephens Solicitors tells us, “Long-term cohabiting couples, with or without children, and couples who are considering moving in together need to make sure that they are protected by law. If you would like any advice about your legal rights when it comes to cohabiting and want to know what you can do to protect yourself, your partner and your family, get in touch with Terry Bastyan on 01392 424242 or email ku.oc1556146654.sneh1556146654petst1556146654rebli1556146654g@waL1556146654ylima1556146654F1556146654. 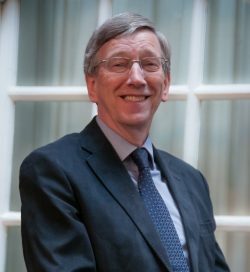 Terry Bastyan, Managing Partner at Gilbert Stephens Solicitors, specialises in Family Law and is an experienced Family Mediator. He is also qualified to meet with children as part of the mediation process. 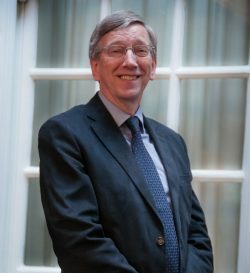 Terry has trained and practises as a Collaborative Solicitor and is a member of the Law Society’s Panels for both Family Law and Family Mediation. He is also a member of Resolution (formerly the Solicitors Family Law Association). Mediation is often the first route we would suggest when arranging matters after a relationship break down. It offers a neutral venue where you can talk openly, with a trained, impartial mediator who will help to identify the matters that need discussing and guide you through the steps to find a realistic and practical solution. It is often hard for parties to talk to one another, especially when they are going through difficult times and dealing with a wide range of emotions – as well as trying to cope with everyday matters. However, agreements made in mediation are far more likely to last than decisions made using other routes, such as the court, as both parties can form a decision together. Coming to an agreement through mediation also has the advantage of saving both time and money compared to lengthy court cases, not to mention the fact that going to court can cause untold stress to the individuals concerned and their wider family. Where appropriate, consultations with children can be arranged to help the children communicate with a neutral and supportive adult. The mediator is trained to ask questions and feed back appropriately so that the best possible outcome can be found. It is not possible to go to the Family Law court until you can show you’ve attended a meeting about mediation first. In some instances, such as if there has been domestic abuse, the mediator can decide that mediation is not right for you, and then a court will take your case without you first trying mediation. If you require advice regarding mediation, get in touch and we will assess your needs. For more information, click here or get in touch with Terry Bastyan on 01392 424242 or by email at ku.oc1556146654.sneh1556146654petst1556146654rebli1556146654g@waL1556146654ylima1556146654F1556146654. 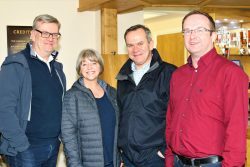 Gilbert Stephens Solicitors are very pleased to be sponsoring Crediton Operatic Dramatic Society’s (CODS) musical production, this year’s performance being Rodgers and Hammerstein’s Carousel. 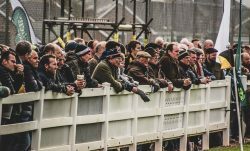 Members of our Crediton office are looking forward to April, with the show running from Monday 15th – Saturday 20th April 2019. The performances will be held at Queen Elizabeth’s School, Barnfield in Crediton starting at 7.30pm. The CODS is extremely active in the local community, recently members held a workshop for younger performers from the age of 8 to work together and learn about what is involved in joining a musical theatre production. Carousel promises to be an action packed love story, set on the coast of New England in the late 19th Century. Crediton’s players will be delighting their audience with plenty of drama, song and original dances choreographed by Agnes de Mille. Gilbert Stephens are always keen to support our local communities, and being a sponsor for this extremely talented and hard working group of performers is very exciting. We are looking forward to the seeing them on the night. 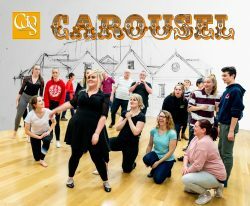 If you are interested in joining CODS, volunteering back-stage, or going along to see Rodgers and Hammerstein’s Carousel, you can find more information on their website www.codsonline.com or call the Box Office on 01363 777968 (tickets start from £9). National Careers Week 2019 begins on Monday 4th March. Gilbert Stephens Solicitors are active in promoting Law as an interesting and worthwhile career option for young people to consider. 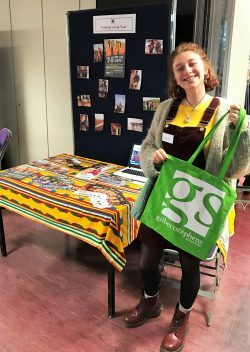 In 2018 we attended various careers events, including the Okehampton College Careers and Higher Education Fair and the Exeter School Careers Convention, where we were among over 40 organisations who attended the event. National Careers Week (NCW) is a celebration of careers guidance and free resources in education across the UK. The aim is to provide careers guidance at an important stage in the academic calendar to help support young people leaving education. When we attend careers events, we aim to advise students on the A-level subjects that are most useful if they are considering a career in law, and the academic qualifications and training required to become a solicitor. There are many exciting opportunities for school leavers who are thinking of taking a route into law. Law apprenticeships are becoming more and more appealing as they offer practical training on the job. There are three broad levels that can be achieved e.g. Legal Administration/Support, Paralegal or Solicitor. There is also a specialist pathway to qualify as a Chartered Legal Executive. Each can be taken as a stand-alone apprenticeship or can be linked for those who want to progress between roles. Gilbert Stephens Solicitors recommend that anyone who is interested in a career in law looks into the different routes, to find the path that can help them best achieve their career ambitions. 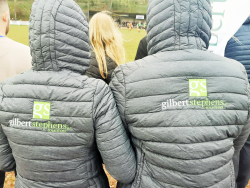 If you would like more information about a career with Gilbert Stephens Solicitors, take a look at our careers page, contact Sarah Judd, HR Manager on 01392 424242 or email ku.oc1556146654.sneh1556146654petst1556146654rebli1556146654g@wal1556146654. We are delighted today to announce that Cheryl Bolt is now a fully qualified solicitor in the Exeter Commercial Property department at Gilbert Stephens Solicitors. Cheryl says, “Hard work and dedication does pay off and I’m thrilled to now be a qualified solicitor”. After undertaking a law degree at UWE in Bristol, Cheryl began working full time as a legal secretary before progressing to the role of paralegal and then trainee solicitor at Gilbert Stephens. Today, Cheryl has been rewarded for all her hard work and has now been appointed by the Solicitors Regulatory Authority as a qualified solicitor. As well as studying whilst working, Cheryl has been an active member of the firm and local community. She has managed to find the time to write a regular blog for us and get involved in many charitable events, including last year’s Great West Run. 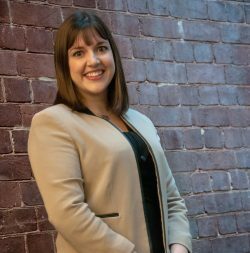 A perfect example of what early ambition and hard work can achieve, Cheryl is now a committed member of the Young Professionals’ Network (YPN), which was set up by Gilbert Stephens in 2010. The YPN enables the firm’s younger members to build up their own contacts and connections with like-minded professionals. It now has over 300 members from industry, professional services and the charity sector. Cheryl was destined for this career, she said, “The law has always fascinated me. I did well academically at school and wanted to test myself with an ambitious goal. When I was 14, my mind was made up: I wanted to practise law as a solicitor. We are very proud that Cheryl is continuing her career – now as a fully qualified solicitor – with Gilbert Stephens Solicitors. We look forward to seeing Cheryl achieving her future goals. If you need any legal advice, get in touch on 01392 424242 or email ku.oc1556146654.sneh1556146654petst1556146654rebli1556146654g@waL1556146654. The Court of Protection is the division of HM Courts & Tribunals Service which oversees decision making for those adults who lack the mental capacity to make their own decisions. It works alongside the Office of the Public Guardian and receives many of the concerns raised about misbehaviour by anyone who has responsibility for dealing with the affairs of incapacitated adults. Making decisions about health or welfare issues including consent to medical treatment or the refusal of medical treatment. “Issues surrounding mental capacity are often complex because deciding whether a person can make decisions about their own lives can be inherently difficult. Each case involves difficult judgements about an individual’s ability to understand the issue and make an informed decision about it. The Court of Protection also needs to balance protecting vulnerable people and allowing them as much autonomy over their own lives as possible. The procedures within the Court of Protection are complicated and the associated paperwork must be completed meticulously. Gilbert Stephens Solicitors have a team of lawyers who are specialists in dealing with applications to the Court of Protection, we can guide you through the processes. If you would like to know more, get in touch on 01392 424242 or email ku.oc1556146654.sneh1556146654petst1556146654rebli1556146654g@wal1556146654. 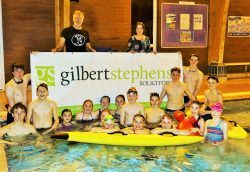 Gilbert Stephens Solicitors are proud to sponsor Sidmouth Surf Life Saving Club. As a coastal town, it is of the utmost importance that our communities have access to proper training for young people in the water. This ensures that they are safe to enjoy the best that our coastal region has to offer. Sidmouth Surf Life Saving Club is a truly inspiring not-for-profit organisation, founded in 2013 and affiliated with Surf Life Saving GB, which is a national charity helping to make our beaches safer and more enjoyable. The club provides children and young people from the ages of 8 – 16 years with training, activities and competitions that promote health and well-being. The club also gives its members training in vital first aid and lifesaving skills as well as beach and sea knowledge. 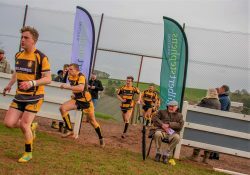 Made up of a dedicated committee and a team of highly qualified and enthusiastic coaches, the club operates from the iconic Arches building on Sidmouth seafront. Members now exceed 100 in number and all the young people are working towards or have achieved lifesaving awards. Club members train regularly to learn how to enjoy the water safely and have regular opportunities to achieve formal qualifications such as junior beach lifeguard awards and surf craft awards. The opportunities for learning and socialising in a supportive environment are as important to the health of our young people as the physical, outdoor activities themselves. The Youth and Nipper teams did the Club proud last year, coming third at the Devon championships. At the British Championships the Youth team came 10th out of nearly 30 British teams, making Sidmouth the best performing South Coast Club, as well as beating several well-established north coast clubs.